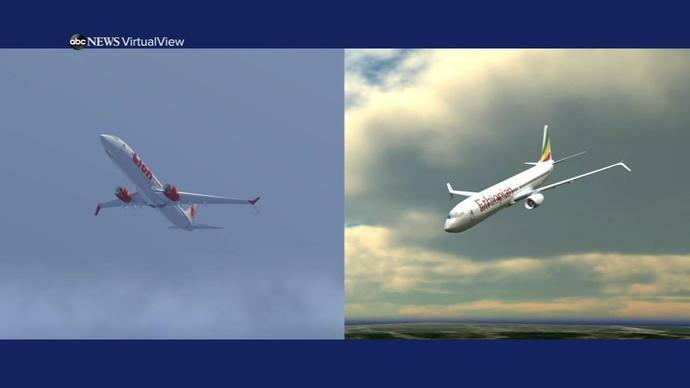 The French civil aviation investigation bureau BEA has concluded there were "clear similarities" between this month's crash of an Ethiopian Airlines Boeing 737 MAX plane and a Lion Air plane crash last October. The world's largest planemaker is facing one of the biggest crises in its 103-year history following the disasters on Lion Air in Indonesia on Oct. 29 and another on Ethiopian Airlines on March 10, which together killed all 346 on board. Chicago-based Boeing is now reckoning with a blow to its reputation and the financial cost of getting the planes back in the air. It met sharply lowered Wall Street profit estimates for the first quarter, largely due to stopping deliveries of the money-spinning 737 MAX jets and a slowdown in production. Boeing said Wednesday that its 737 MAX crisis had cost $1 billion in the first quarter as it withdrew its 2019 profit forecast on continued uncertainty about when the grounded jets will fly again after two deadly crashes. The US aerospace giant also cited spending on the software fix and related training, according to an earnings presentation released Wednesday that listed the $1 billion in 737 program costs. The results are the first since the company entered crisis mode with the March 10 crash of an Ethiopian Airlines jet, which along with an October Lion Air crash claimed 346 lives. Boeing&apos;s first-quarter revenue and profit took a hit from the global groundings of its 737 Max jets following two fatal crashes. CHICAGO/SEATTLE (Reuters) - Boeing Co has told some 737 MAX owners it is targeting U.S. Federal Aviation Administration approval of its software fix as early as the third week of May and the ungrounding of the aircraft around mid-July, two sources told Reuters. The dates are part of a provisional timeline that Boeing has shared in meetings with airline customers as it explains an upgrade to software that played a role in two fatal crashes and led to the worldwide grounding of its MAX 737 jetliner in March. A Boeing spokeswoman said the company is focused on the safe return to service of the MAX and its engagement with global regulators and customers.